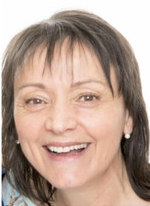 Rosemary Pacquola is the Director of Resolve Organisational Consulting. Resolve works with leaders of organisations to assist businesses and boards to enhance growth and sustainability. Rosemary has had over 30 years experience in leadership and management positions including 10 years as the Chief Executive Officer of two private hospitals. Rosemary has also worked as a Senior Financial Consultant to Perpetual Trust and a Senior Financial Advisor to Westpac Banking Corporation.